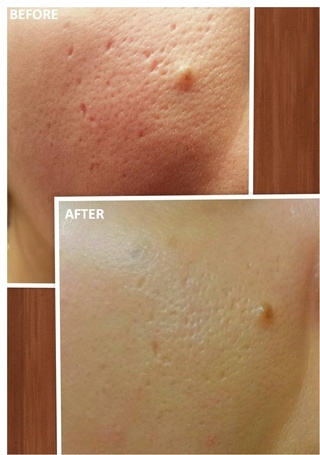 Dermapen is a fractional micro-needling device used to tighten, lift, and rejuvenate the skin. It uses fine “micro-needles” to boost collagen and elastin production which leads to skin tightening, wrinkle reduction, and improvements of skin tone and texture. It has also been clinically proven to reduce the appearance of enlarged pores, acne scars, and stretch marks. How is the treatment administered? DermaPen procedures are performed in a safe and precise manner with the use of the sterile DermaPen needle head. What is the skins appearance after the treatment? After the procedure your skin will be red and flushed in appearance in a similar way to moderate sunburn. You may also experience skin tightness and mild sensitivity to touch on the area being treated. This will diminish greatly after a few hours following treatments and within the next 24 hours the skin will be completely healed. After 3 days there is barely any evidence that the procedure has taken place. How quickly are results visible? Visible results of skin rejuvenation are generally seen after just 6-8 weeks following procedure and improve further over time. DermaPen micro-needling does not involve injections and therefore allergic reactions and side-effects are unlikely to occur. It is minimally invasive, involves minimal downtime (circa 24hrs), rapid healing and requires simple after-care. ACQUIRE INFINITE BEAUTY WITH AESTHETIC REJUVENATION CENTER! Bergen County | Englewood Cliffs | Manhattan, NYC | and More! Health and Wellness Spa near you.